Hey, Does That Fan Run in Reverse? This is the question that every knowledgeable fan professional hears daily. The proper response… You bet your bottom dollar it does! Remember that physics class in High School? That one we all had to sit through. The teacher stood at the front and asked the whole class – "Is it easier to push or pull?" The outcome somewhat applies to air movement from fans as well. The difference however, is that fans are designed specifically to push. Because of this, some manufacturers/industrial professionals will tell you that operating your fan in reverse is a waste of time, as it's less efficient (and there is some truth to that statement). In reality, this response is their way of saying "No, this fan cannot run in reverse." Truth is, there are a number of applications where a reverse operation isn't only preferable – it's a requirement. Think about an indoor swimming pool… high ceilings, open space and typically poor overall circulation (all things HVLS Fans are looking for). The challenge isn't circulation – but creating circulation without generating a draft that can chill wet swimmers as they exit the water. Not much of a challenge for an Altra-Air HVLS operating in reverse. Now think about an ice skating rink… high ceilings, open space and nearly non-existent circulation. Again the challenge isn't circulation (that's quite easy). The challenge here is that hot air is found at ceiling level and forcing it onto a cold ice surface will melt the ice. Once again, the problem is solved by an Altra-Air HVLS operating in reverse. All that being said, having the reversible feature in an HVLS fan should be a minimum requirement. As an experienced fan professional I can tell you that selling a fan is easy. Listening to the customer about their challenge and providing the solution is the key. 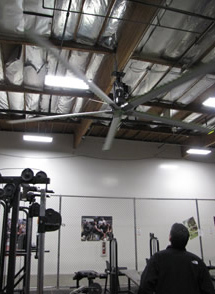 More often than you would think, a reverse functioning HVLS Fan is that solution. "Truth is, there are a number of applications where a reverse operation isn't only preferable – it's a requirement." Envira-North Systems is a knowledge and experience based company that specializes in the solutions. All of our products are components within a system specifically designed to provide a custom solution while maximizing savings that increase return on investment. To learn more about the reverse function contact me directly via email deanwood@enviranorth.com. Dean Wood - Sales & Marketing Manager, Envira-North Systems Ltd. Since 2007, Dean has sold, serviced and installed HVLS projects in countless applications on every continent around the world. His experience and knowledge are key components to the continued success our sales and distribution partners. 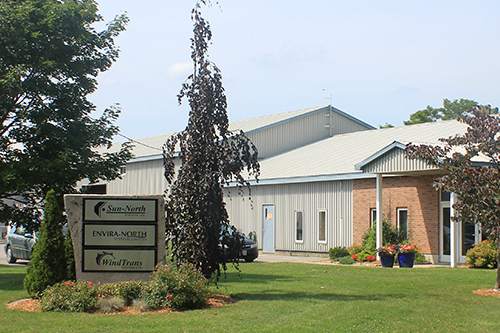 "Envira-North Systems Ltd. has recognized a worldwide need to reduce energy consumption by contributing to the effectiveness of heating, cooling and ventilation systems." Envira-North Systems Ltd. designs, manufactures and sells the most innovative ventilation solutions on the market today. Copyright 2018, Envira-North Systems Ltd.